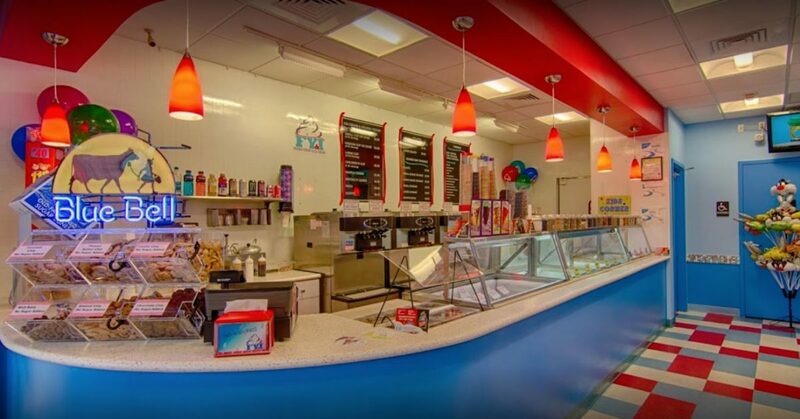 If you are like us here at FYI Delray, you love ice cream. But i think we can all agree that there are some times, during the year, that ice cream is best. Basically, ice cream is best when it is sunny and warm outside! Luckily, we are located in sunny delray beach, florida, and we don’t have to worry about it getting too cold and definitely don’t have to worry about it snowing! That means Florida is a great place for ice cream, almost the whole year round. However, there are always things to look forward to about the spring and summer seasons, especially when you live in sunny Florida. Atlantic Avenue is really the star of Delray Beach, and it certainly opens up during the spring and summer months. Of course, this is partially true because of the influx of tourists during this season, but there is also something inherently magical about seeing delray beach in it’s peak- everyone is gathered at the beach, swimming, hanging out, dining, shopping, drinking, eating. It’s a fun time no matter what you are interested in you will be able to find something right up your alley. There are a lot of fun things to do in Delray Beach, especially in the summer. Seagate beach and other beaches are popular hubs for tourists and locals alike, everyone likes to frolic in the surf and go to the cool restaurants and bars near the sand. Taking a yacht cruise or going boating in some way is also a popular activity in probably anywhere in Florida, but especially delray beach. Delray Beach also has a rich history you may not know about. For this reason, you can take ghost tours and other types of tours as well. You will get to explore the architecture that gives Delray Beach its quaint, gothic nature. Of course another great thing to do in Delray Beach is eat and go out. There are so many amazing different types of restaurants that offer a variety of experiences, all within downtown delray beach. Most of these awesome restaurants are situated on or around Atlantic Avenue, although there are gems hidden everywhere around town. If you are interested in fine dining or cheaper eats, you can find it all within delray beach. You can also find amazing nightlife- there are bars and clubs located all over the city, mainly on atlantic avenue itself. Going out is super fun in delray because you can walk everywhere and you are right near the beach! However, a trip to Delray Beach is not complete without a stop to one of the coolest ice cream stores ever- FYI Delray. Located right off Atlantic Avenue, in the heart of downtown beach, FYI Delray can make all your summer ice cream dreams come true. Located in the heart of Palm Beach at the Pineapple Grove Archway and in between the Office Restaurant and El Camino.